Free State Stars coach Luc Eymael has been fined R100‚000 suspended for 24 months for his failure to address the media. 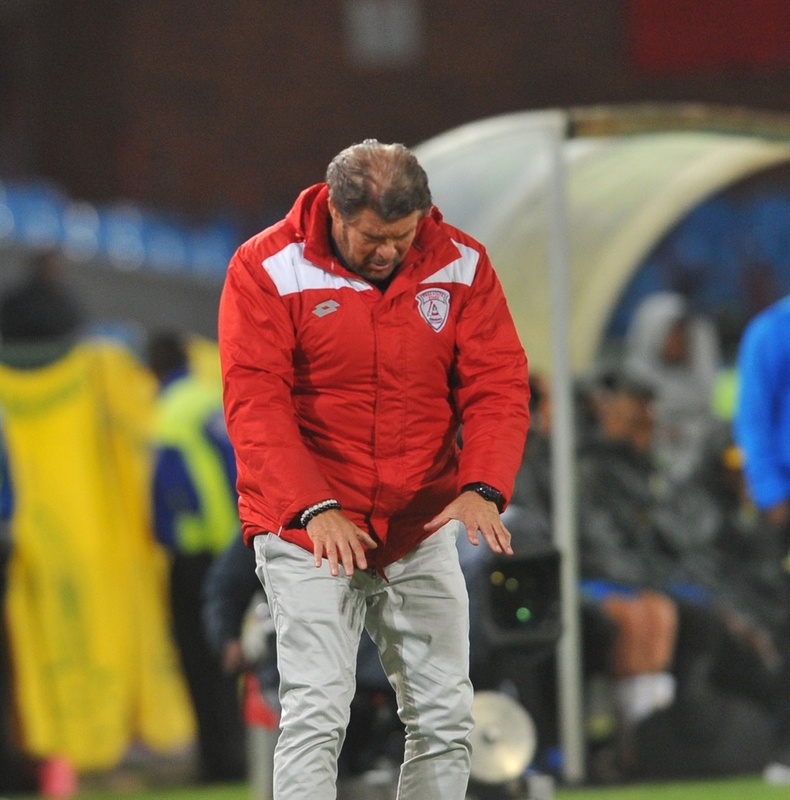 Eymael did not avail himself for post match interviews after his side suffered a 2-1 to AmaZulu in an Absa Premiership encounter which at King Zwelithini Stadium in Durban three months ago. The Premier Soccer League (PSL) confirmed on Thursday that the Belgian‚ whose team are struggling to repeat the performances of last season‚ has been punished for his conduct in Durban. "Eymael pleaded guilty to the charge. He was sentenced to R100 000 fine; suspended for 24 months on condition that during this period he is not found guilty of a breaching any of his obligations as the head coach as stipulated in the Manual. Free State Stars were also fined R100 000; also suspended for 24 months on conditions that Mr Eymael is not found guilty of breaching his media obligations."